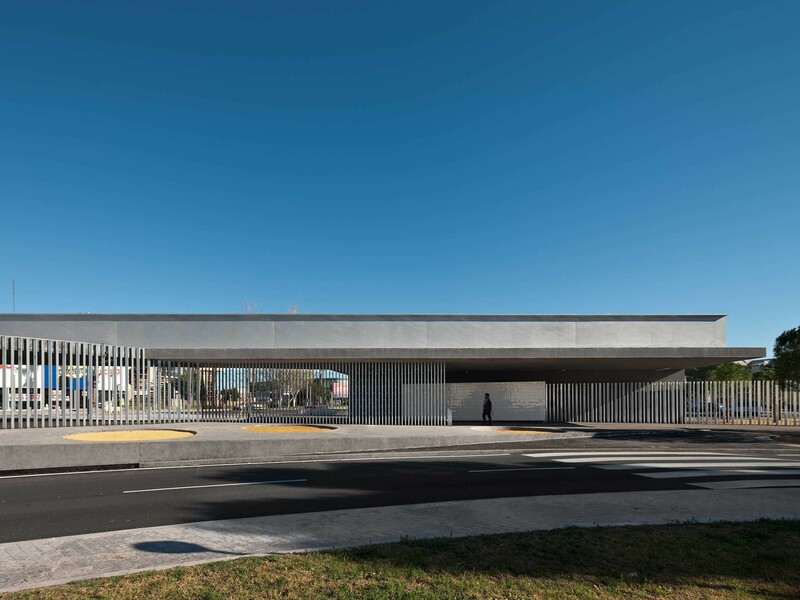 The project for the University of Alicante tram station functions both as a tram stop and as a point of access to the university. The solution is to build two very different platforms: a wide and spacious one functioning as a large roof that also includes part of the access to the university and houses the access gate; and another long and narrow one that closes the space and provides protection from the traffic on the road next to the site. 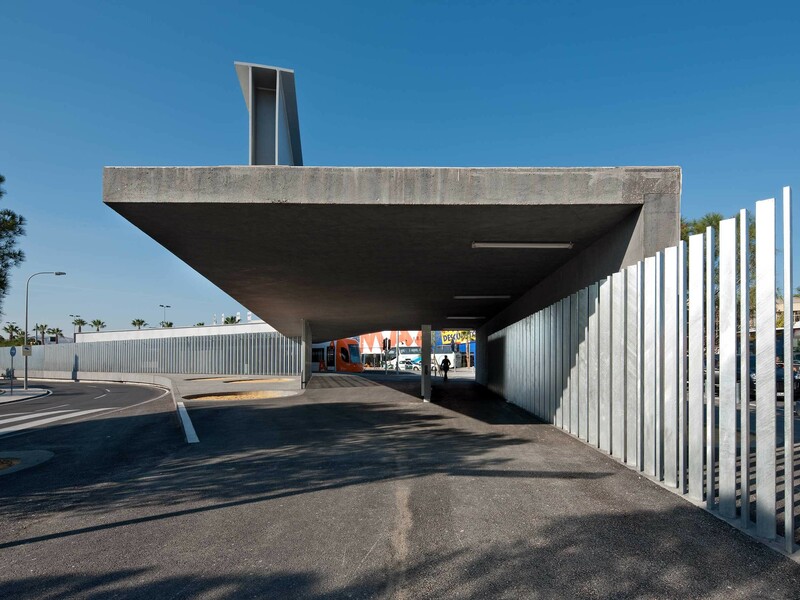 For the main, university platform, the use of a concrete roof enables all the necessary activities on this side: arriving in the tram, entering the university, or buying a ticket and taking a seat to wait. 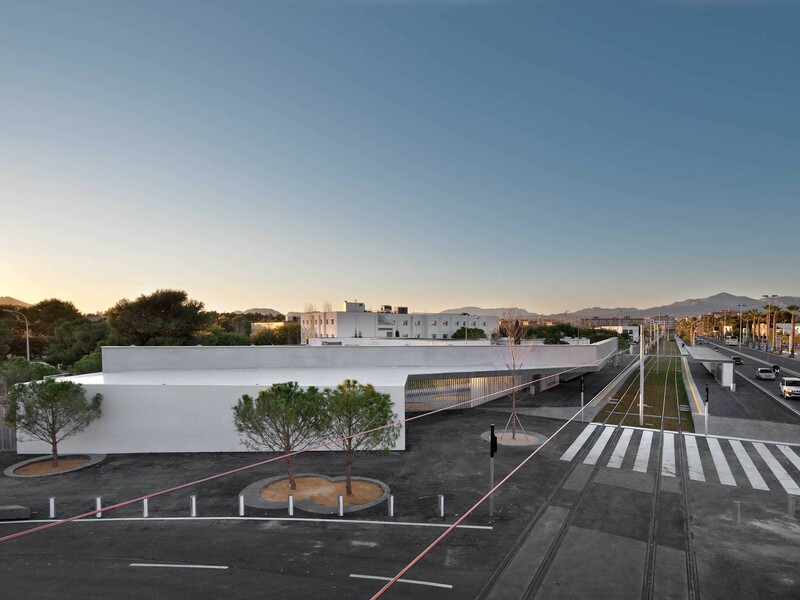 Its geometry adapts to the available space and its purpose – narrow where it works as a tram platform, and large and wide towards the entrance and access to the university. The structure of this platform is also resolved according to its importance. A large beam spans 35 m and goes further as a cantilever in the direction of the access, enabling a view of the whole train without any pillars in between. This structural gesture goes hand in hand with the project’s intention. 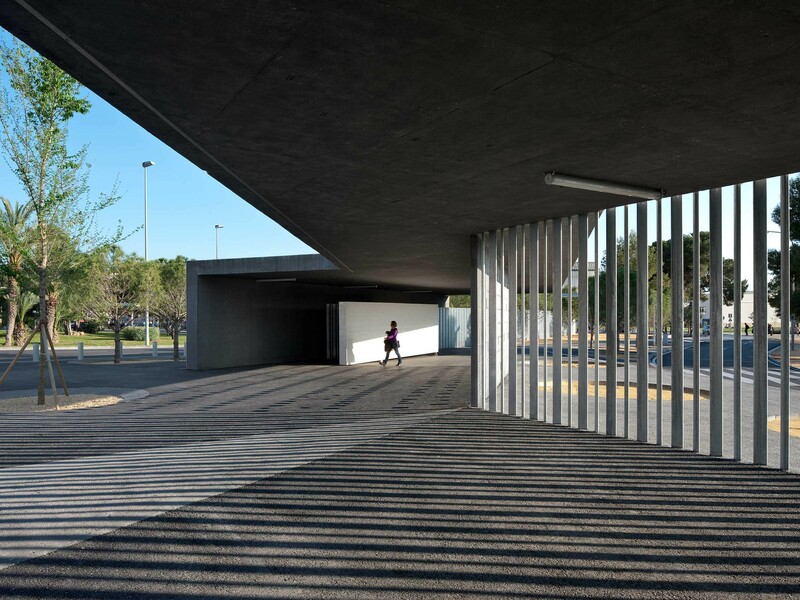 The perimeter fence that closes off the university is integrated as a structural element (pillars) and resolves the lighting support. 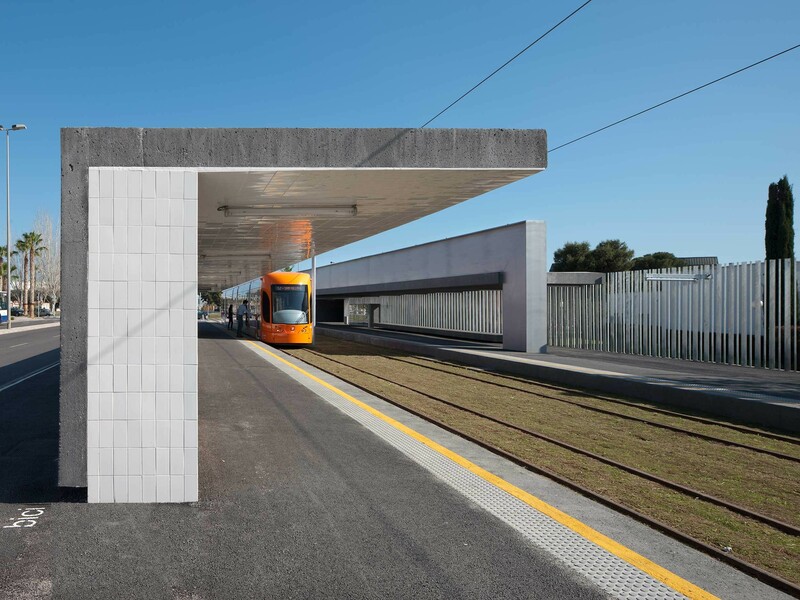 The secondary platform is given the role of protecting and closing the structure to the road: a closed concrete wall to provide protection and the cover necessary to allow people to wait and buy tickets on this side. The whole ensemble is built as simply as possible, with a steel structure (for the beams and fence) and concrete (for the roofs and walls), thus staying true to the intentions of the project. The continuous asphalt flooring, the yellow sand for the tree areas and the painted zebra crossing help to integrate the surrounding floor surfaces into the new proposed surface and provide a sense of space and continuity. Genoveva Carrión Ruiz, José María Urzelai, Miguel Martínez Castillejo and César Trujillo Moya.